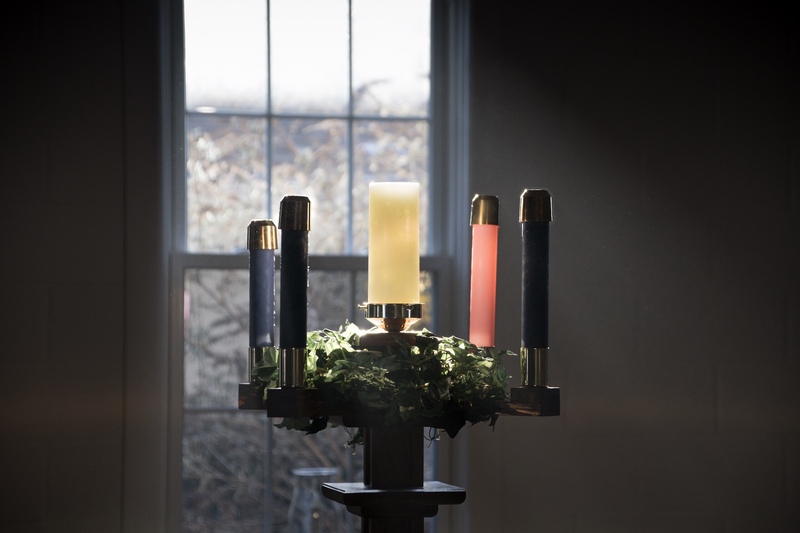 Advent wreath, late afternoon sun. One of the unexpected pleasures of spending as much time in church as I do is seeing the place at times other than Sunday morning, watching the light change through the day and the season, selectively illuminating details we sometimes overlook. And in the silence, becoming aware of that presence we often overlook in the busy-ness of worship. Of course I mean divine presence, but something more, too. Our own faithful presence over months and years leaves something cumulative behind even after we leave, I’m convinced of it.